If you’re craving a piece of deliciously crispy fried chicken minus the fat, this recipe is made for you! It tastes just like fried chicken but you actually whip it up in your oven. 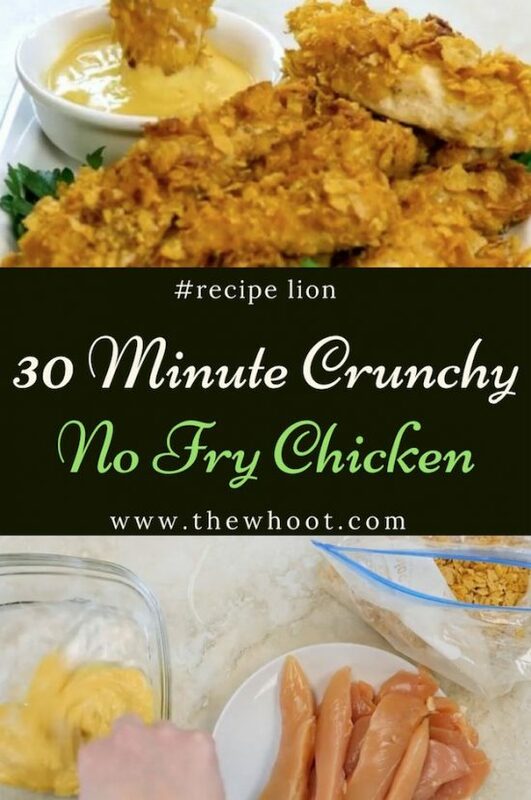 This 30 Minute No Fry Chicken will satisfy your craving for some good old-fashioned fried chicken, without all of the fattening calories! 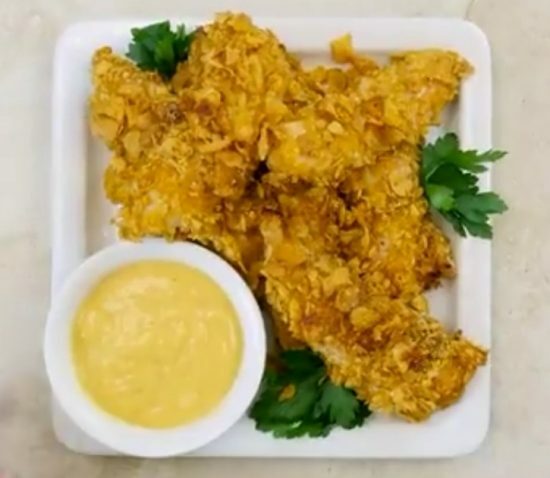 Seasoned and baked with a honey mustard dressing, this version uses a yummy corn flake coating that gives it that incredible crunch. We know this will become a new favorite in your home. The best part about this chicken is it takes 30 minutes. You can use a store-bought honey mustard dressing or make your own. In a small mixing bowl, mix your prepared honey mustard dressing with 2 tablespoons of water to dilute. Pour the cereal into a large zip bag. Add the salt, pepper and garlic powder. Crush the cereal using your hands, being sure to not overdo it. Close the bag and shake it to mix everything together. Dip the chicken tenderloins in the honey mustard dressing, then place each one in the cereal bag. Zip the bag and shake it vigorously to evenly coat the chicken. Spread the chicken out on a baking sheet lined with parchment paper. Bake the chicken for 20 minutes in the preheated oven, or until the chicken is thoroughly cooked and no longer pink inside. Let the chicken cool down slightly before serving. Serve alongside some additional honey mustard dipping sauce for dipping. 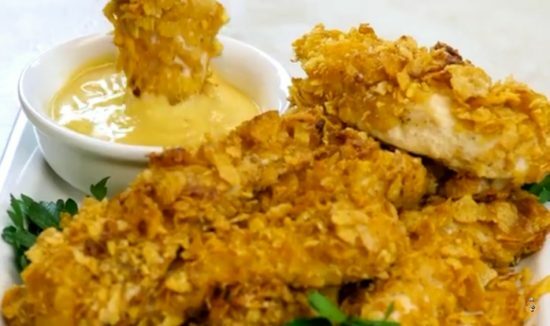 If you loved this honey-mustard chicken recipe then you’ll want to try out this Dump-and-Bake Honey Mustard Chicken too!